April has been a pretty great month for BTS and their wings, ARMYs. 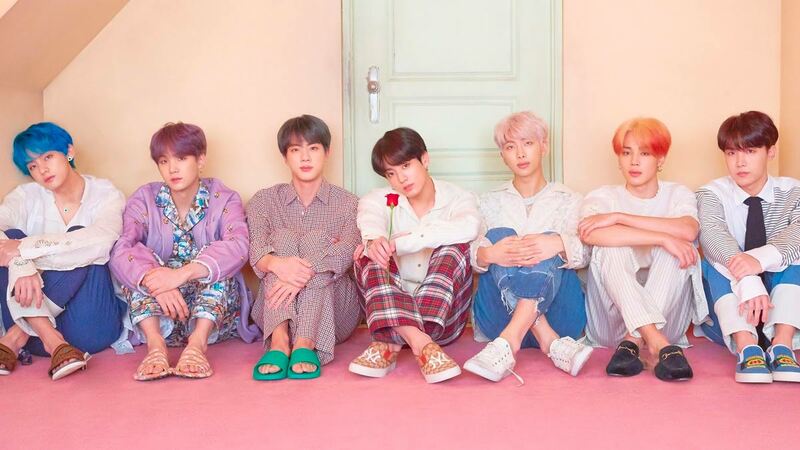 The K-pop superstars dropped their new EP called Map of the Soul: Persona on April 12. On the same day, the music video for their much-anticipated collab with Halsey, "Boy With Luv," also debuted. In just 24 hours, this music video became the most-streamed debut in YouTube history. The record was previously held by BLACKPINK; the quartet also made a comeback earlier this month with "Kill This Love." BTS is continuing to soar, this time breaking another record on Spotify. "Boy With Luv" featuring Halsey has hit #3 on Spotify's Global Top 50, setting a new record for the highest position ever attained by a K-pop artist. On top of that, Map of the Soul: Persona is currently the most-streamed K-pop album on Spotify in 24 hours. ICYDK, the crown used to belong to their last album, Love Yourself: Answer, which means these kings broke their own record. Map of the Soul: Persona is also the first K-pop album to have all seven tracks debut on the Global Top 50 chart. And in the second week of April 2019, BTS became the first K-pop and Asian artists to surpass five billion streams on Spotify. It might be time for another BTS binge, amirite? As for what we can expect next, the boys are headed to the 2019 Billboard Music Awards to perform "Boy With Luv" with Halsey, where they're nominated for two awards: Top Social Artist and Top Duo/Group. Congratulations, BTS (and of course, ARMYs)!